In this article, we’ll show you how to install an SSL Certificate on Juniper. Before installing the certificate, make sure you’ve received all the necessary SSL files from your CA. If you haven’t applied for a digital certificate yet, we provide CSR generation instructions in the first part of this tutorial. After the installation, continue reading to discover interesting facts about Juniper’s history and find where to buy the best and most affordable SSL Certificate for your Juniper platform. 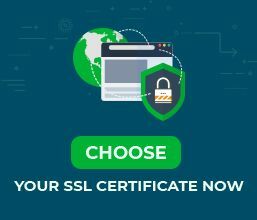 Where to buy the best SSL Certificate for Juniper? Use your CSR Code during your order process with your SSL vendor. Note: Some CAs may provide two intermediate certs, for better compatibility with older browser versions. You need to copy them both in two separate .cer files and upload one at a time. Click the Import CA Certificate button, and browse your intermediate certificate file. Click Import Certificate to upload it. A message should confirm the successful upload. You can find your SSL Certificate in the list of Device Certificates. Congratulations, now you know how to install an SSL Certificate on Juniper. We recommend checking your SSL certificate for potential errors right after the configuration. Use these excellent SSL tools to get instant status reports and vulnerability alerts. Juniper Networks, Inc. is a giant American corporation specializing in networking hardware. Its large suite of products includes routers, switches, network security and network management products. Juniper was founded in 1966 by Pradeep Sindhu, an Indian-born American entrepreneur and chief scientist at Juniper Networks. In 2004, Juniper acquired the Network security company NetScreen Technologies, in a deal worth $4 billion. This acquisition allowed Juniper to bring more products to the market and cement its status of a massive player in the network equipment industry. 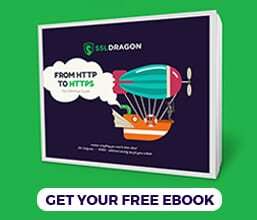 IF you’re looking for an affordable SSL Certificate, and impeccable customer support there isn’t a better place to shop for digital certs, than SSL Dragon. We offer the lowest prices and the widest range of products compatible with dozens of servers and platforms, including Juniper. To speed up your SSL search, we’ve developed exclusive tools such as SSL Wizard and Advanced Certificate Filter. Use them to find the ideal certificate for your online project, and compare different products by their specifications.